A little over one year ago Hampton Roads Publishing, in collaboration with Conari Press (a division of Red Wheel/Weiser LLC), launched a self-publishing service imprint called Turning Stone Press. Unlike a number of big publishers to launch such paid-service imprints over the past four years, like Thomas Nelson, Harlequin and Simon & Schuster, this was an in-house imprint run by Conari Press and Hampton Roads Publishing and did not involve an outside third-party provider to power the back end administration. I’ve purchased a number of books from Hampton Roads Publishing over many years and generally I’ve found the production quality and content to be very high, particularly its hardback editions. 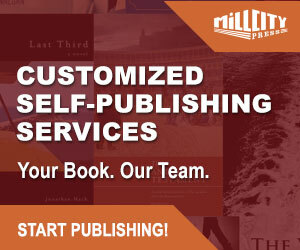 But like all self-publishing imprints from traditional publishers, it is important from the outset to stress that this is paid-publishing, and you are not publishing a book under the Conari or Hampton Roads imprints. I’ve reviewed quite a number of self-publishing imprints from large and traditional publishing houses and I’m always particularly interested in the ones developed in-house, rather than the numerous imprints powered by Author Solutions on behalf of major houses (Simon & Schuster, Penguin & Thomas Nelson) because an in-house venture at least comes with the development and involvement of the publisher’s staff. I also think the kinds of books in the TSP catalogue (self-help, memoir, growth and transformation) tend to lend themselves better to self-publishing projects if the author has a strong reader base and entrepreneurial skills. Generally, genre fiction is a much tougher sell for a self-published author, though TSP does accept submission of fiction (speculative and spiritual). This is a boutique venture from Hampton Roads and Conari and (looking at the TSP catalogue after one year of existence) not an all comers accepted vanity or subsidy press. There are sixteen authors listed on the TSP website, 21 titles listed on Amazon, and it is clear that there is a particular editorial selection process in place. This is not a run of the mill, pull ‘em in, cash the cheques, and bang those titles out, quick-as-ya-can. I liked the TSP website from the outset. It is well designed, crisp, clean, and does not indulge in trips to the promised land that many other from self-publishing service websites love to adopt. Books are at the forefront of the website, though, the SERVICES page link and ‘What You Get’ makes it somewhat clear (ahem) that this is not a traditional press. The mission statement is here. I hate mission statements because I don’t think a publisher or service provider needs or should have a statement of intent. American companies seem to love missions and statements of intent. It is as if from the get-go, they already suspect I doubt the strength of their mission to provide quality, direction and value for money. I’ve found the most sincere and convincing mission statements on some of the biggest and most notoriously poor self-publishing service provider’s websites in the industry. “Turning Stone Press offers an unparalleled publishing environment designed for independent authors with creative voices to receive the same level of expertise in editorial, production, and marketing afforded New York Times bestsellers. “Specializing in nonfiction and fiction titles with spiritual, metaphysical, or self-help themes, Turning Stone Press curates every book published, carefully selecting only those titles that fit within specific parameters. 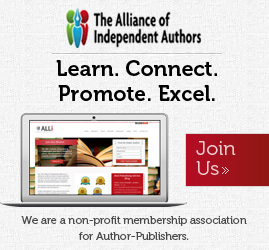 “Our objective is to offer an exclusive opportunity for authors within these genres to reach their intended readers by providing them with the tools and support needed to give their work the best possible chance for success. TSP might offer the ‘same level of expertise in editorial, production, and marketing afforded New York Times bestsellers’ but it doesn’t offer the same distribution options, advances on royalties etc, etc, as its other traditional imprints. Note the above phrase, ‘tools and support.’ It is a theme we will be returning to later during this review. Most of the information a self-published author might be looking for is contained within the TSP website, but it is not always immediately to hand, and while it is there, some really crucial detail is actually embedded within PDF’s on the website. The SERVICES detail is here; the MARKETING detail is here; and the EDITORIAL detail is here. Perhaps the most significant piece of ‘Fine Print’ (TSP’s words, not mine) I found was on the submission page. “More Fine Print: If you submit to our other imprints and we find your project is not a good match we may ask if you’d like to consider Turning Stone, where you pay a fee to help cover the costs of publishing. “We use the same professional editors and designers to work on the projects we publish under this imprint. I’m wondering how many TSP authors come to them through referrals from authors submitting to their other imprints, rather than submitting directly to a paid-service imprint. Perhaps this explains more the selective process and that the greater number of published authors come by referral. If you don’t get many direct submissions, then it is easy to argue that you are very selective about book projects. Also, take note of that ‘marketing plan’ mentioned above. Remember our earlier reference to ‘tools and support’ above? Yep! Well, there is a definite theme developing here. Substantive and developmental editing is optional and comes with an additional cost. Not surprisingly, we get the ‘free’ paperback copies I get so tired of seeing publishing service providers refer to in packages. Believe me, the cost of those copies have been factored into that $7500 fee. I’ve no idea what a ‘royality’ rate is. Maybe it is something to do with a ‘reality’ check when you see the overall fee. Either way, it’s a pretty awful rate for any kind of self-publishing program, whether through online sellers or direct sales through the publisher’s website. Book retail prices from the publisher’s website are also uncompetitive. I found several books of 150+ pages priced at $16, rising to $21 for a 250pp book! And a shipping fee must also be added to this price. Fortunately prices are a little more competitive from Amazon, on average, 20-30% cheaper. The e-book editions look like they match or are marginally lower than the print prices, but, again, look uncompetitive. Even with proofreading and copyediting included in the TSP package, this is a lot for limited distribution and what many other reputable publishing services would do for half this price. For me, while I appreciate all authors must be involved a great deal more in the marketing of their books, whatever publishing path is chosen, there are too many tools, tips and advice, and not enough real marketing endeavour built in here. “With our collaborative publishing service, we offer a marketing plan, press release, and other advice on how best to market your book. 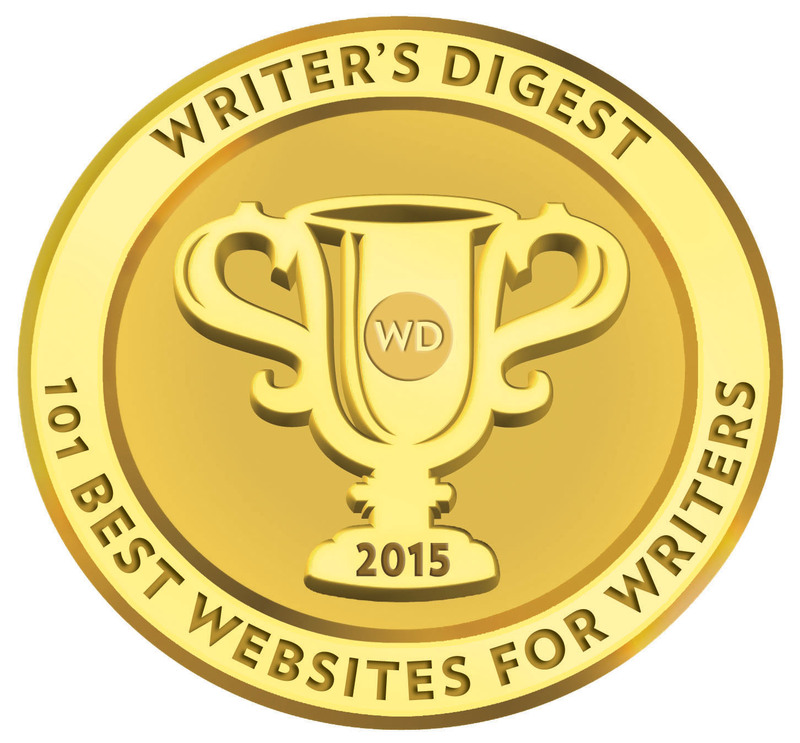 In today’s publishing world, authors need to be marketers too. Not everyone has the time or skills needed to implement a good plan. We offer additional services to help you market your book. Our customer service reps can tell you more. The inference here is that if you want anything more than guidance, tools, tips, a press release… oh, and a plan to go and implement, then you will have to pay TSP a whole chunk more cash on top of that $7500. Curiously, TSP list two levels of additional marketing packages under EDITORIAL services (I’ve no idea why) – a Sapphire and a Diamond package at $3000 and $6000. Digging into the detail, it looks like TSP issue press releases through PR wire services (oft used to limited results by publishing services) and provide ‘copy’ for email blasts. These additional marketing packages also include the creation of questions and talking points for radio and online pitches; sending review copies to radio shows and bloggers; the creation of a Facebook page, Twitter account and blogging site for your book; a one to two hour session with a ‘marketing coach’; a PW Select announcement; a Kirkus Review; and the placement of an ad in Radio Television Review. TSP also offers ‘a written estimate’ ($99-fee credited back if you take up the editorial offer) of what it thinks it will take ‘to make your [book] idea into a fully realized book. Wow, just wow! This must be the first time a service provider has ever charged ‘me’ for supplying ‘me’ with ‘their’ written estimate on ‘my’ work! Editorial and coaching (per hour) is also offered and charged at $150. TSP advises that typical editorial fees on a manuscript will vary between $2500-4500. I respect the work publishing professional do and kudos to Hampton Roads Publishing and Conari for at least bucking the current trend for going the ASI-powered route to set up a boutique self-publishing imprint. But I think like all publishing houses operating in this area, it has grossly overrated its services and the package on offer. The equivalent could be sourced individually from freelance professionals or as a package from another provider at less than half the price, even with the proofing and copyediting included. For me, the real problem in this sector is that publishers setting up imprints like TSP don’t do their research and homework and realise that their publishing name is simply not enough to sell a package (barring the pull of uninformed authors), and there are usually better options available to authors and at far cheaper prices. There might be an argument here if every TSP title was available through all distribution channels, but that’s simply not the case here, and for that matter, many self-publishing imprints set up by traditional publishers. Maybe I’m too much of an optimist, but I do believe there is time and room for a publishing house to set up a self-publishing imprint with real value, impact and success for authors. Alas, TSP isn’t it. This review was very informative. TSP sounded like a good idea – but $7500!? I will just keep thumbing through my Writer’s Market – too soon to give up! Thanks for the feedback, Grey. You are sharing great information with us.. Thank you, Mick, for the very thorough, informative, and helpful review..I’ve been invited to proceed with TSP’s “vetting process,” and now I’m inclined to keep looking.